Bookings Open In One Week! Book by April 1st for Early Bird Discount. 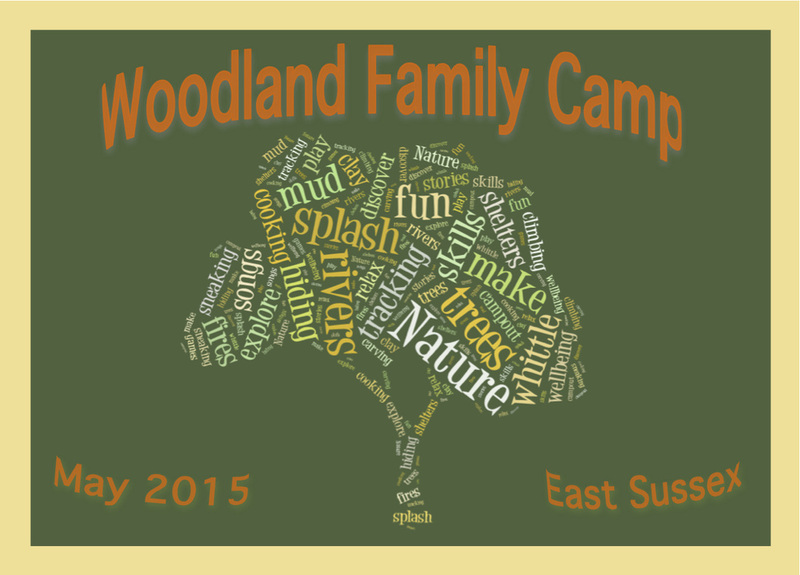 We are offering a unique, welcoming family experience in nature, in the Sussex countryside. We are bringing together some of our favourite activities in the day and night, held by experienced facilitators to create a small village, with the bare essential amenities (no showers, simple toilets), but full to the brim of essential fun, laughter, a warm and creative human with nature experience! This camp is a small, three day, two night camp during the May half term, where you can leave your watches and phones in the car and sink into nature time, relax and enjoy the woods. From the hundreds of things we could do, we will do our best to create activities that fit your family, their ages and interests – please let us know details on your booking form. Early bird discount: 10% off when booked before 1st April. 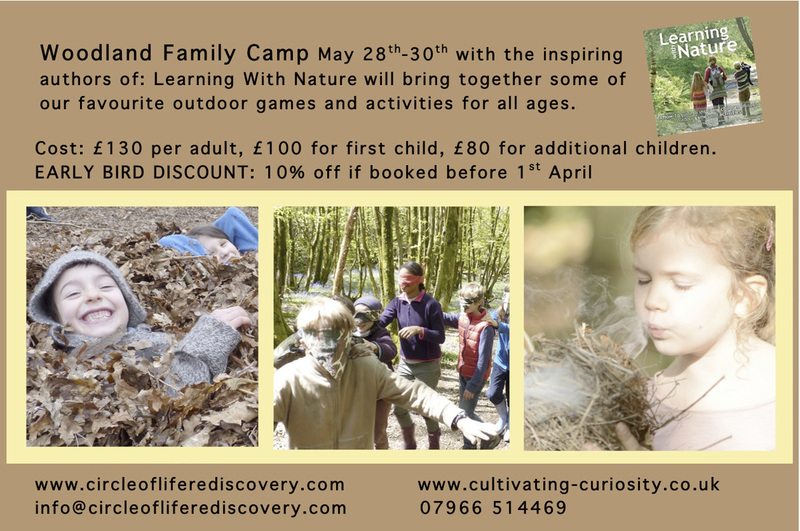 You will be joined by all three authors of ‘Learning with Nature: ....’ Marina, Vicky, Anna – all of whom are very excited to be collaborating on the Family camp, putting the best of their experience into what we will be offering! And a host of other wilderness/nature experts, all coming together to build a fun atmosphere, where we are inspired, relaxed and spend a quality, supported time together. Bookings open in one week!